Gurugram, July 18 (IANS) The Central Industrial Security Force (CISF) along with Haryana Police and other authorities on Tuesday conducted a mock bomb detection and defusal drill at a DMRC station here, an official said. “Over a hundred personnel from CISF, Haryana Police, officers from the Intelligence Bureau and officials from DMRC took part in an hour-long exercise but officials from the Haryana Fire Department gave it a miss despite being informed,” CISF Inspector Rajender Singh told IANS. “The whole exercise was led by Deputy Commandant Praveen Chauhan. It was done to check the preparedness of various departments ahead of Independence Day on August 15,” Singh said. 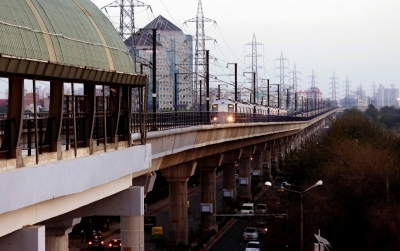 During the mock drill, a Delhi Metro Rail Corporation train at Guru Dronacharya station came to a grinding halt and commuters were told that terrorists have planted a bomb there. Panic swept through the commuters, who were evacuated. But soon it was announced that a mock bomb defusal drill was being carried by security forces. The bomb was “detected and disposed off” by the Bomb Detection and Disposal squad (BDDS). “A specific area of the station was cordoned off during the exercise and rail services remained normal,” Singh added.